There is no doubt that Macbook Pro is a stunner, the all-new Touch Bar revolutionized the keyboard experience by bringing dynamic controls to user fingertips. The new Touch Bar appears to be Apple’s first bridge, of sorts, between iOS and macOS By adding dynamic keys, the Touch Bar makes apps more touch-friendly and easier to navigate.The Multi-Touch Retina display at the top of the new Mac Book Pro keyboard changes depending on what the user does in the app, so the user can surface context-specific features and controls. A new iPhone 8 concept has surfaced online that takes features to the edge in a lot of ways, especially with its Touch Bar. Desktop computers aren’t going away any decade soon. Not if Jony Ive and Phil Schiller have to say anything about it. Smartphones like I phone have always made progress in quick successions and changes are brought up in injecting some life in apple’s software as well as its hardware. Keeping this fact in mind we can’t ignore the rumor of iPhone 8 featuring the Pro Touch Bar. The Touch Bar made its big debut on the new 2016 MacBook Pro. As apple introduced this feature in its laptops, many experts started to analyze the outcomes and expected mobiles and other of its accessories to follow the same genre. One such outcome came on youtube when such experts released this video. Though some viewers have stated that there is no need of this while others called it an essential requirement. But I phone seems to be very less likely to undergo this change because of its very massive touch screen already affix on its front. In an interview with John Ive, Apple’s team made it clear that they have no future intentions in combining iPad and Mac together to create anything like a desktop tablet like Surface series of Microsoft. Apart from the Touch Bar, which looks obviously out of place, although cool, the iPhone 8 concept packs in a decent amount of features as well. For instance, the phone ditches Lightning for Thunderbolt 3, making room for faster charging and 40Gb/s transfer speeds. The device even features wireless charging, something which Apple will never bring to its Smartphone, the concept also introduces the idea of a whole glass Smartphone that also gives away the classic Home button to feature a Touch bar that acts as a window for input, it seems. The Touch bar will alter visuals and experiences depending on the app under use. 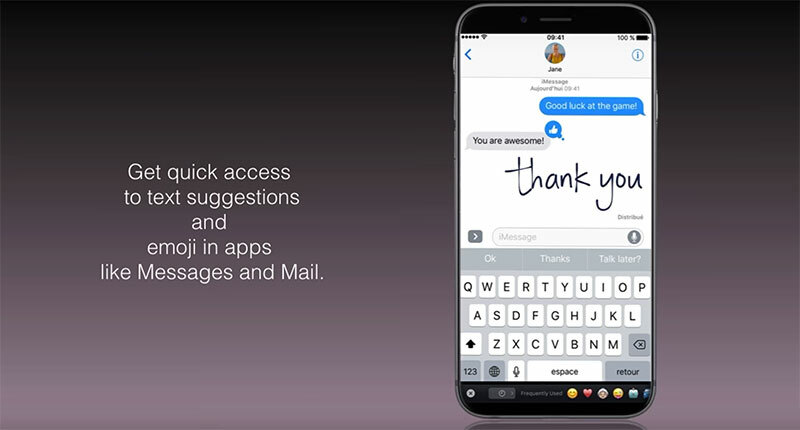 The Touch bar is in fact shown to be the main interface mechanism between the user and the phone. It can be used to receive and reject calls, select text suggestions and select emoji characters. 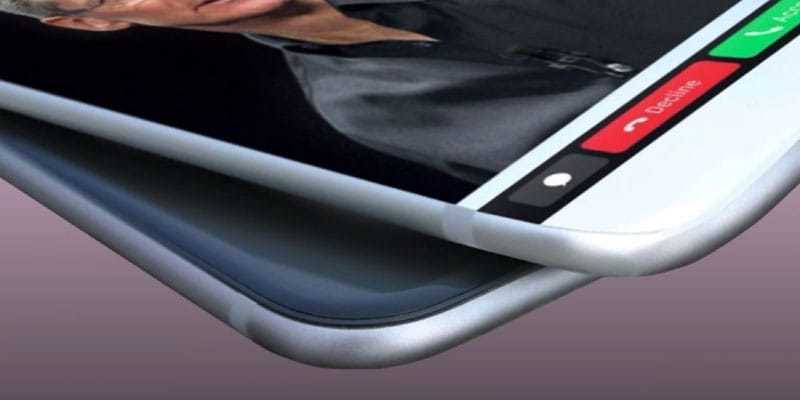 As far as the visual perspective is concerned we might get a phone that will be ultra slim, has a full sized screen and is accompanied with 3D Touch technology built on OLED screens. Only time can tell whether Apple introduces this feature to bring up some new concept keeping its view of slim technology use and better battery life and weight or it will end up being a rumor.